Herring has heard it all in our over 43 years in business. Don't be afraid to ask that unheard of question. Chances are, we have heard it before. What if I can't be home when Herring pumps? That's no problem at all. We will take care of everything and leave an invoice for you. You can call us to pay by credit card when our field operator is at your property. We just need to be able to reach you via phone. 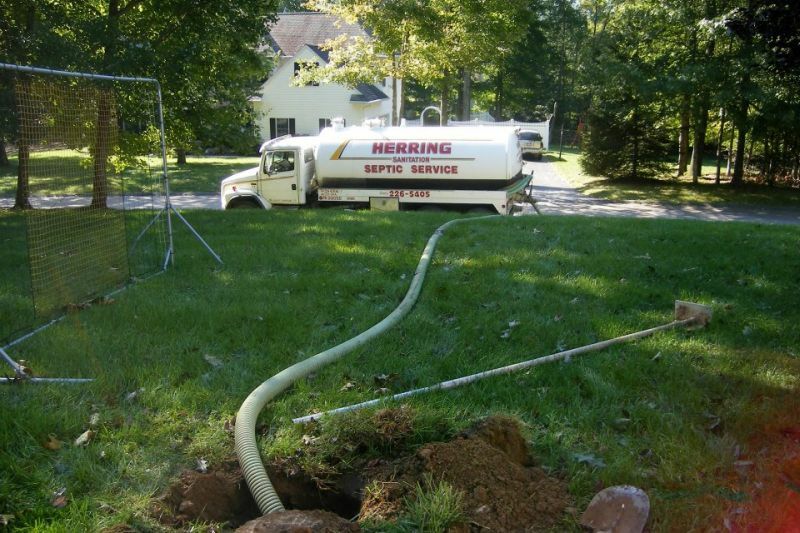 Call Herring at 845-226-5405 to make arrangements for septic pumping and payment. I am not home during the day but want to see that the septic job is done right. What should I do? I don't know where my tank is located. How do you find it for the septic cleaning? If you have a diagram, we can use that. 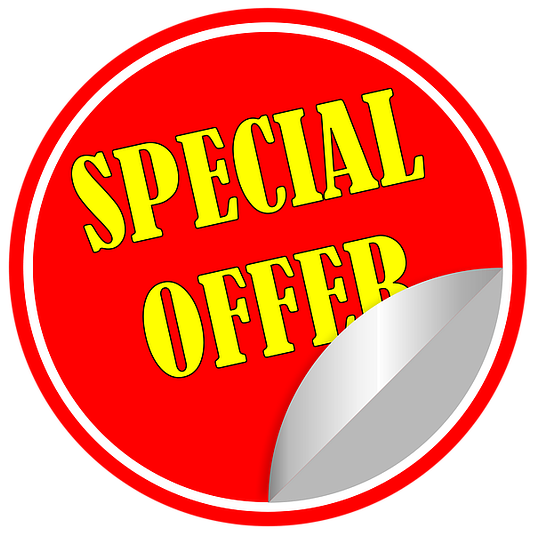 But we will search your property free of charge for up to 15 minutes to locate the tank. Normally we can find it easily, as we are very experienced at doing so. If we cannot find it, however, we can look electronically by sending a sensor through your system via your toilet. There is a charge for this service. What happens when a septic system fails? How can I tell? One way is if things stop going down the drains. Second is that you have large puddles of something other than water in your yard. More subtle hints are gurgling and odors inside or outside your house. Another major way is if you have a collapse sinkhole in your yard. How can I prevent a septic failure? 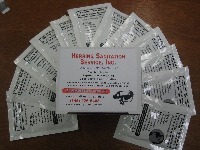 You don’t want to wait for septic failure. 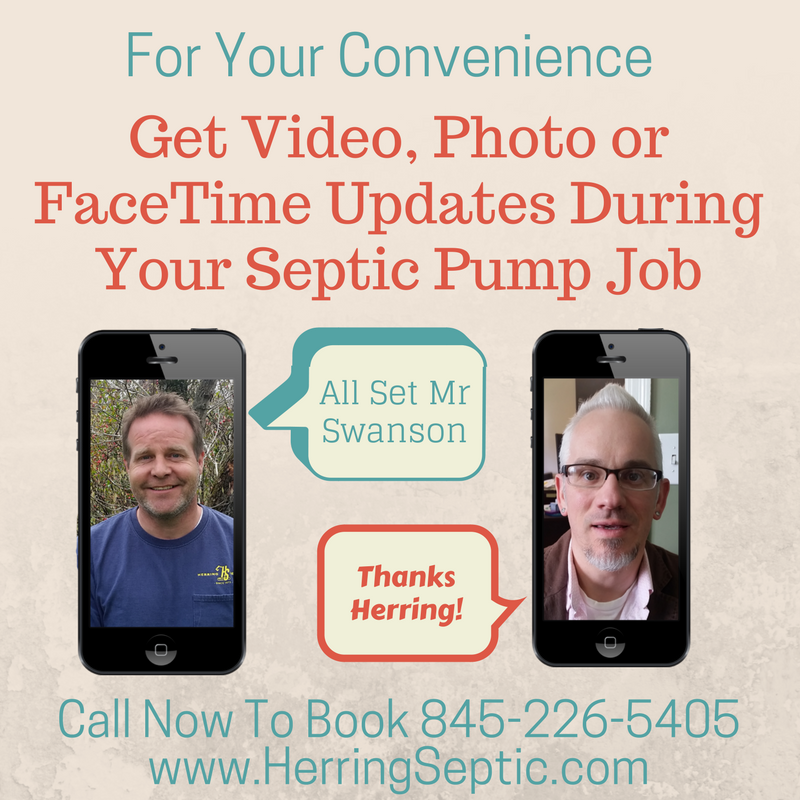 We recommend a regular maintenance schedule with your septic company. Like changing the oil in your car, it needs to be done periodically. Board of Health recommends pumping a residential tank every 2 years for an average family of 4. How would I know the right schedule for my family? Should I be careful of what I pour down the drain? The only thing that should go in your septic tank besides septic-safe toilet paper is what comes out of the human body. Using this logic, don’t put anything down your drain because it all goes through your septic tank. Absolute No-Nos are kitty litter and wet wipes. Just because it says flushable doesn’t mean it’s septic safe. It only means it will make it through the septic line. What shouldn’t I flush down the toilet? The only thing that should go in your septic tank besides septic-safe toilet paper is what comes out of the human body. NEVER flush kitty litter, kitchen grease, wet wipes, paper towels, feminine hygiene products. Even tampons can be a problem. Do not flush GI Joe or Matchbox cars either. Will additives help my system? It helps to eliminate odors which attract disease bearing insects. It helps reduce gum and pectin which cause glazing of drain fields and drainage pits. It helps eliminate soggy soil and surface puddles due to clogging of drain field. It helps to keep your entire plumbing system working and healthy. It helps to break down grease. Can I drive on my leach fields? It is not advised. You could crush the pipes or you could cause the pipes to become disconnected from the tank. These kinds of repairs are quite costly. Can I put my above ground pool over my leach fields? 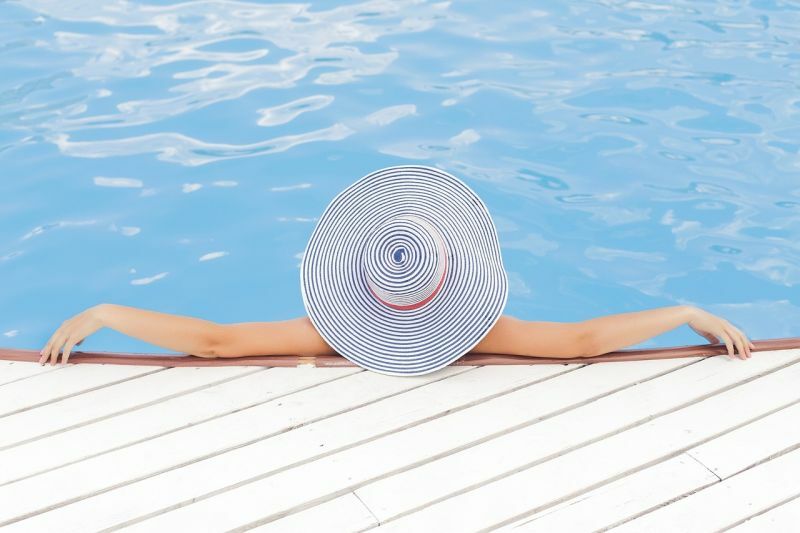 Septic systems work on leaching and it’s the sun that helps with the leaching and drying out of the septic fields. If you cover that up you are likely to stop the natural process in its tracks. Also the weight of the pool could damage the fields. The main issue is access. You can build anything over your septic tank as long as you don’t cover the access of to the tank. We recommend ALL 3 access points are accessible in case you need camera searching or repair work performed. This will keep your repair costs down. Avoid installing anything, including pilings over pipes during construction as their weight could break the pipes. I’m going to start raising my own chickens. Can I put my chicken coop over my septic fields or tank? YES, as long as you don’t cover the access of to the tank. It shouldn’t interfere because a chicken coop isn’t that large and is definitely not as large as your leach fields. Make sure you leave access to the lids so when servicing your tanks, your septic man won’t let your chickens out. Can you tell if the tank needs pumping without digging it up? It all depends on how long it’s been since you last pumped your tank. It should be cleaned regularly, not when you are having a symptom. Although, some septic tanks and bacteria in them break down the solids differently than others. So some people can go longer. Best way to know is to ask at your regular service if the septic man thinks you could have waited longer. Determine your next service based on his answer. Can I inspect the tank myself? It would be hard to know what to look for without some experience. If you think you could figure out the normal operational level and want to stick your head down into a septic tank to inspect the baffles, you may be able to do it yourself. However, if you are not licensed by the state to haul waste, you are prohibited by law to haul waste and therefore should never pump it yourself. Generally, based on the expertise needed and the high cost of repairs, we recommend leaving the inspections to the professionals. Do I need to do a septic pumping (aka septic cleaning) regularly or just when there is a problem? Just like your car's oil, you don't wait for a problem with your engine before changing it. Your septic system is the same. The BoH (Board of Health) says 2-3 years is the increment you should use for septic cleaning. Once we have done a septic pumping for you, we will add you to our no-pressure reminder system and send you a reminder in 2 years so you don't have to remember yourself. How much will it cost to have my tank pumped? A lot less than repairing or replacing it. Prices vary based on gas prices and current price of dumping. Call the office to get the current price - we’ll quote it right over the phone. And remember to ask for whatever discounts you qualify for.